OK, enough with the feelings for now. Time to empty a box or two. I haven’t really messed with the garage/ basement since we moved in last month. There are still some boxes down there that haven’t been touched. And then there are the boxes that have been opened, searched through, and left half-unpacked. Then there’s also the mixture of two eras of clutter–what had already been down there prior to our arrival, plus all the stuff that we added into the mix. The result has been a rather chaotic garage, with very little space to move about. So I divided today in half. In the morning, I got started on the decluttering and organizing. Then my son and I took a nice, long break to take advantage of the beautiful day. Then back home, and a couple more hours of straightening up. 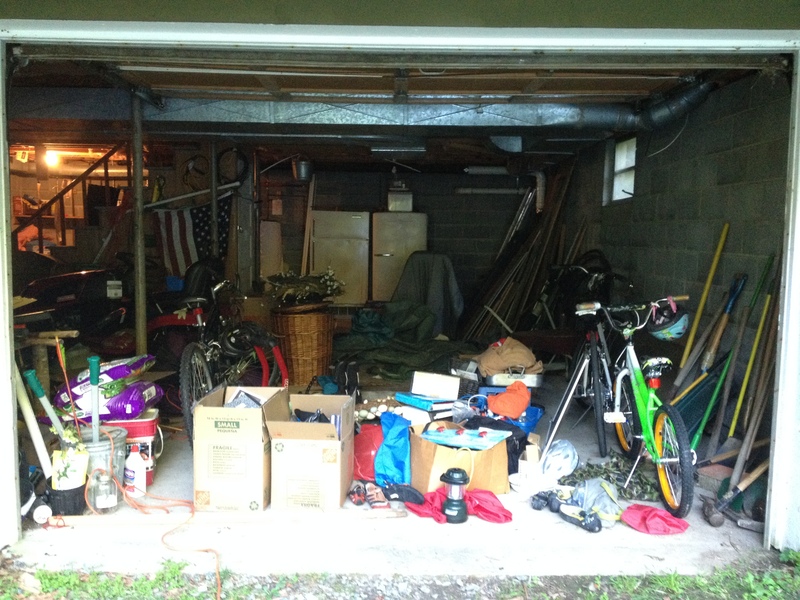 It’s not a big thing, I know–everyone needs to straighten up their garage or their basement, right? But the basement was already becoming one of those blind spots for me–an acceptable place for a pile-up of randomness. At the same time, it was becoming a matter of daily annoyance. It had become a major challenge just to get from one end of the basement and out through the garage door without tripping over something. I admit–some of today’s work involved rearranging and restacking. But it also involved some unpacking and breaking down of boxes too. 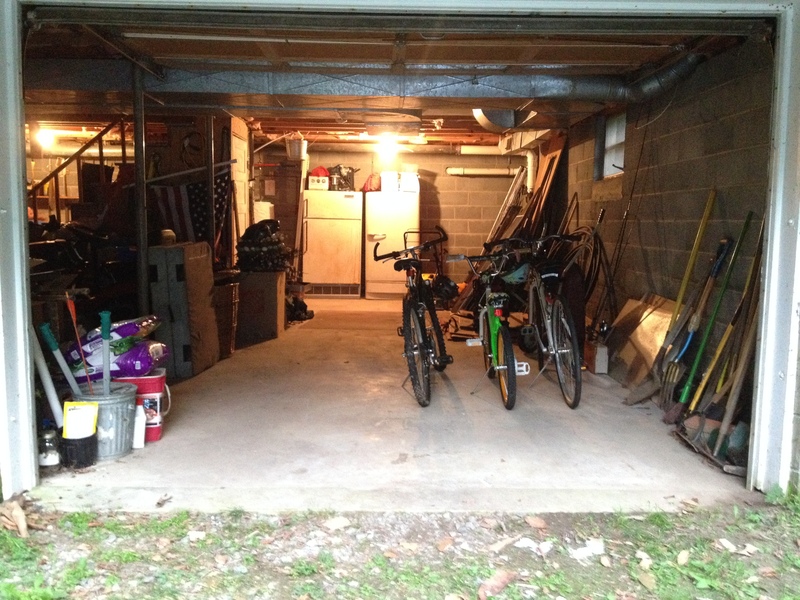 And I now have a space I can walk through–and I can get a bike in and out of the garage without worrying about what I will knock down in the process. There’s more of this I need to do–in closets, and cabinets, and other storage spaces. It’s been a bit hard to get back to these sorts of chores after months of house clearing and packing. So it might be a small start, but it’s a good, first step. This entry was posted in Uncategorized and tagged chaos, clutter, organization, simple action. Bookmark the permalink. Even just combining two boxes of clutter into one box of clutter can make a difference on a space. Oh, I’m not above a little shuffling about of stacks, if necessary! Bikes are happy! I can feel their contentment in that “after” photo (grin). Thanks–four days later, and it’s still a tidy space!